Also, expect more posts (hopefully) in the coming weeks. Summer was a little crazy and one of the first things to suffer is the blog. I think I'm finally back in the saddle again. It's so hard to start back up after some time away, isn't it? Third set of thumbnail sketches in the making. Tenth or eleventh text re-edit. 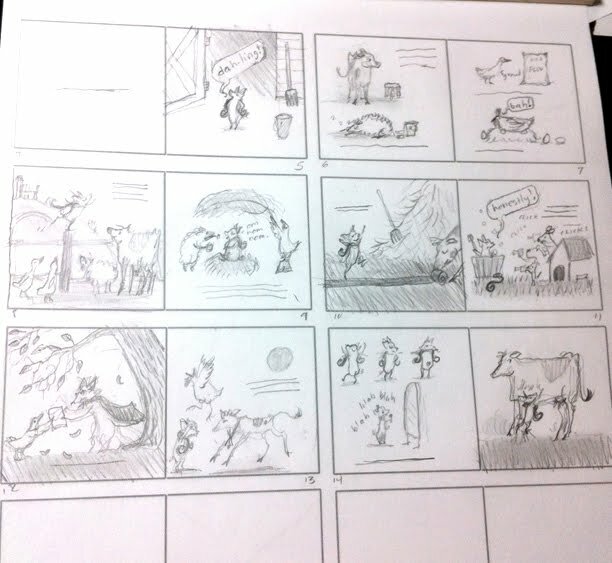 Getting ever closer to a submittable manuscript/dummy for Sophia Madeline Starlight. Sorry I've been away lately. Lots going on this summer. A long time ago, I posted on this blog about a new pet mouse for my studio. Well, he lived to be the ripe old age of two (life expectancy 1.5 - 2 years). He started with the name Alfredo, which was later changed to Leon since it seemed to fit his personality more. My nieces always asked if he was awake when they came to visit, and loved feeding him sunflower seeds....and I always found his little nose sticking through the cage to greet me when I walked in the room. For such a small soul, you had a big heart, Leon, and we will all miss you. 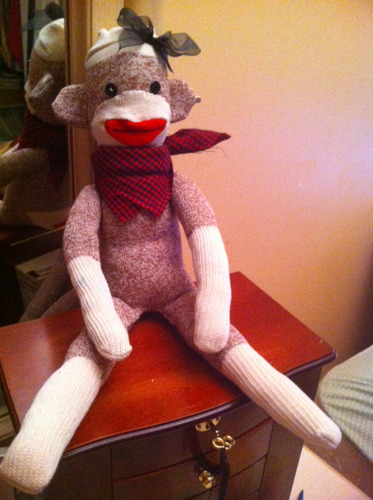 Introducing, Gabby the sock monkey! Arms, legs and ears were machine sewn, and all parts were hand-whip-stitched on. Fun project!